I was talking to my Australian friend Susan from Days on the Claise recently and she mentioned the different meanings of propre in French. It does seems strange that the same word should mean both “clean” and “own”. My trusty Dictionnaire Historique de la Langue Française has come to the rescue. Les ustensiles propres à notre cheminée renaissance sont désormais propres – The utensils bought especially for our Renaissance fireplace are now clean. J’ai ma propre voiture – I have my own car. Elle l’a vu de ses propres yeux – She saw it with her own eyes. C’est un trait qui lui est propre – it’s a trait that is peculier to him; it’s distinctive/specific characteristic of his. Les coutumes propres à certaines régions – The customers characteristic of certain regions. C’est vraiment le mot propre – It really is the right/proper word. Ce n’est pas un lieu propre à la conversation – It isn’t a suitable/appropriate place for talking. Un sport propre à développer les muscles des jambes – A sport that will develop the leg muscles. Avoir un bien en propre – To be the sole owner of a property. Whence the word propriété ou property in English. So what about the other meaning of propre – “clean”? Where does it come in? Believe it or not, the origin is the same! From the Old French, propre, meaning “worthy of a person, worthy of oneself” which is sort of based on the idea of “which only belongs to oneself”, it came to mean “well-organised, careful, elegant” (around 1280) until it finally became established in the 17th century as meaning “of accepted or decent appearance”, i.e. appropriate. However, it was not until the middle of the 19th century that a personne propre was applied to someone who washed carefully and practised modern hygiene. Propre, however, is not appropriate for all situations in which we would use “clean” in English. Can you provide some examples? 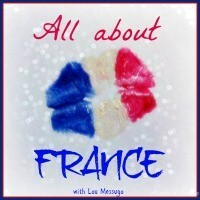 I’m contributing this post to Lou Messugo’s All ABout France linky. For other posts about France, click here. This entry was posted in French language and tagged clean in French, proper in French, propre in English. Bookmark the permalink. Quite an eclectic word in French. I’m guessing your final question refers to the fact that in French you use ‘nettoyer’ to describe the act of cleaning, but ‘propre’ to describe the state of being clean. You could say either “tout est propre” or “tout est nettoyé” but they have a slightly different meaning. However I wasn’t referring to anything in particular. There are many expressions such as “a clean break” (une rupture définitive) or “a clean cut” (une coupure nette), “a clean record” (un casier judiciaire vierge), etc. How’s about ‘clean up’ as clearing all the money off the table when one wins a bet? Not very useful to know as I’ve never done it! Usually when you get all the money it’s “tout rafler” but I asked Jean Michel and he says he doesn’t work that way in a casino for example. It’s dounds very complicated …. Thanks Phoebe. I only wish I had time to do it more often!